Happy Muffin Tin Monday everyone! If it's Monday, then that means around here we are celebrating all things Muffin Tin Meal! What's a Muffin Tin Meal, you ask? Simply put, it's a meal (or snack or dessert) served in a muffin tin. 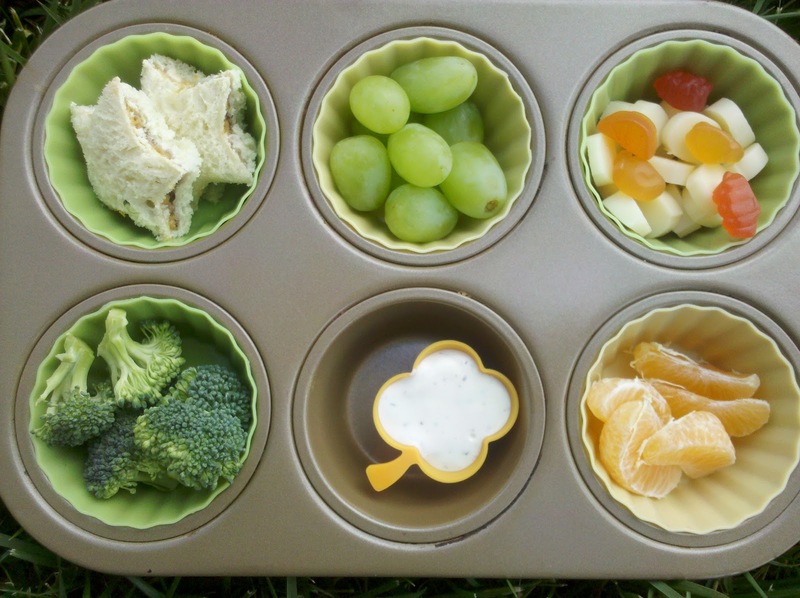 It's a great way to introduce new foods to kids in a fun and interesting way. Have a little one who won't eat their vegetables? Then, Muffin Tin Meals might be for you! To find out more about Muffin Tin Meals and Muffin Tin Monday visit the FAQ page. We are no longer posting weekly themes, but that doesn't mean you can't get creative. Every month, I will showcase theme suggestions in the sidebar area of this blog. Just as a reminder, please only post food served in a muffin tin, muffin pan, silicone cup or paper liner. Please no bentos or easy lunch boxes. I do not want to take away from those communities. For more info, read this post. Now It's your turn! I would love to see what you made for Muffin Tin Monday! Link up by clicking the blue "add your link" button below. Email and RSS subscribers, I hope you will click through to see all the fun MTM ideas! The cool green cups and foods look so spring like. I love your green themed tin and the little shamrock liner. love your little ranch dip container!